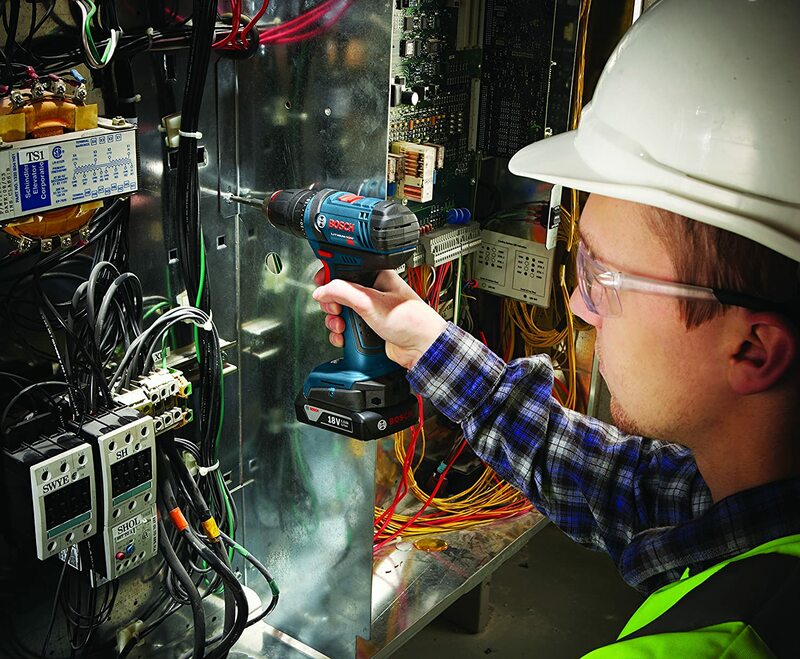 Cordless Impact Wrenches are easy to shop for; they are all measured on similar metrics such as torque output, RPMs, Blows per minute (sometimes called ipm impacts per minute) and Decibels. Cordless Impact Drivers are the opposite. They are a little weird. Each brand measures their tools differently. Dewalt has even gone to the hassle of creating a brand-specific metric called “unit watts out” (UWO). No one — except for some nerdy engineers –knows what UWO means as a comparison metric. Here at Tool Tally I’ll help you sort through the craziness and the brand wars and purchase the right drill. Ever used a hammer drill? I remember just a few years ago when my electrician friends would complain about having to drill all the holes for running home runs on a new build. The hammer drills were heavy, loud and torturous to use. A few months ago, I was working a job site with one of them, and predrilling holes for home runs with a small, Dewalt cordless impact driver. This mini “hammer drill” easily drove the spade bit through 6 inches of wood, hole after hole. Hammer drills are slightly different from cordless impact drivers in that the bit also goes in and out slightly . We kept a hammer drill in the truck for going through concrete, but the cordless driver was doing most of the work. Bosch brags about having the smallest tool, but at only 4 and 5/8″ long, I think Makita might be beating Bosch at the compact game. They are also winning in the weight game, coming in at about half a pound lighter. 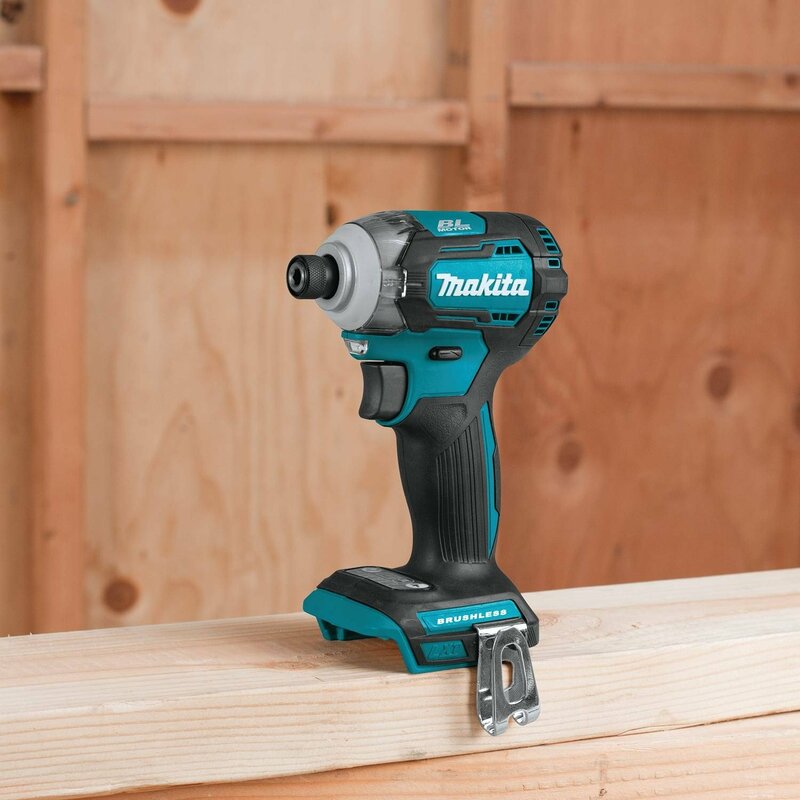 When talking about powerful cordless impact drivers, the Makita XDT12Z deserves to be near the top of the list.The device has set new standards in an already growing market. The tool features a high torque output as well as a higher speed than the competitor’s models. It can deliver about 1550 in-lbs of maximum torque. 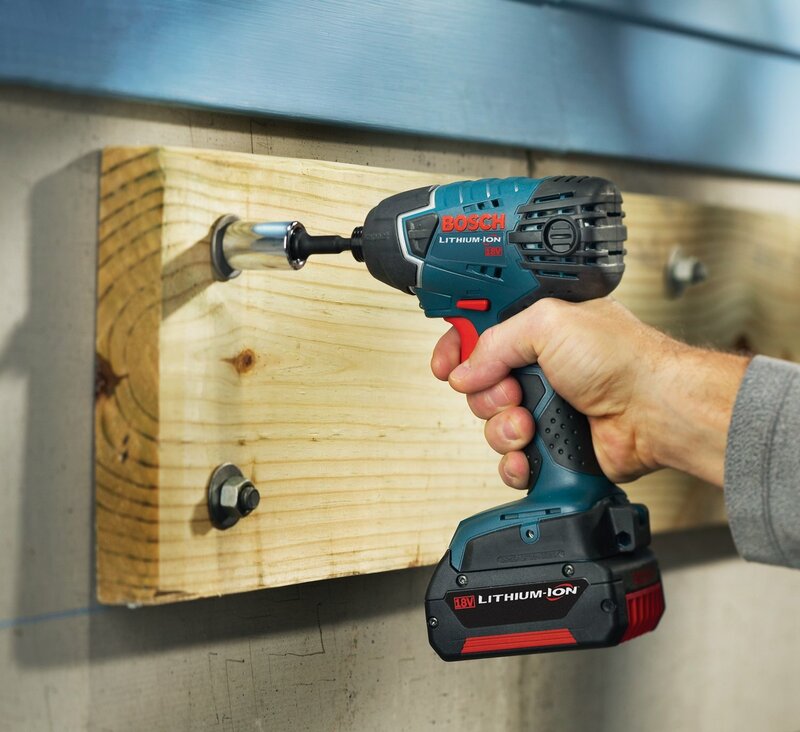 Whether you want to work with cabinet screws or lag bolts, the Makita’s 4-speed power selector makes it easier to use the tool for a wide range of applications. Furthermore, it features an exclusive technology called the Quick-Shift Mode. Often, when driving in a screw, you might need to slow down the driver to ensure no damage takes place. The Quick Shift mode automatically reduces the impact speed just before driving the screw. This means lesser stripping and damage to the screw as well as the work. Also featured is an Assist Mode that helps eliminate any cross threading. It does so by driving the fastener at a lower speed until the tightening process begins. Furthermore, the Tightening Mode allows for faster tightening to increase your confidence when working quickly. You are likely a Dewalt or Milwaukee fan, but with all of these features at this price tag time for the dedicated woodworker to retire those colors and buy some teal green jerseys. Makita is leading the way in innovation on their cordless power tools, and their engineering is designed to help you work faster and more efficiently. Everyone is going to be trying to borrow it. Especially your teenage son. When it comes to compact and lightweight drivers, few can match the Bosch Impact Driver Kit. But, don’t be fooled! Just because it is light, doesn’t mean it isn’t professional grade. The tool employs a premium grade hammer and anvil system to deliver high torques of up to 1,500 inch-lbs (125 foot-pounds). Moreover, the mechanism ensures faster RPM of up to 2,800 RPM. This variable speed is especially crucial for those applications where power and speed mean money! The robust and sturdy motor works with an 18V battery so that operators get more fastening. Furthermore, the cordless impact driver is quite compact as it measures 5.7 inches. What’s more, it weighs a mere 3.8 lbs. This means you can perform as many tasks as you want in series without worrying about fatigue or strain. Designed to provide ergonomic comfort, the Bosch features a soft handgrip as well as a non-slip housing. The Bosch is as durable as it is handy. It features a Durashield Housing that can withstand the toughest of jobs without breaking a sweat. Also included is a LED Light which helps you work even when it’s dark. The Electronic Cell Protection helps protect the tool from overheating or overloading. So, you can get 35 percent better run time for the lithium-ion battery pack. The tool comes with a 30-day return guarantee as well as a 1-year warranty. This means you can conveniently test out the machine before committing. An excellent drill for all-day construction use. Drives 2″ deck screws like butter, and 6″ lag bolts with just a little extra patience. 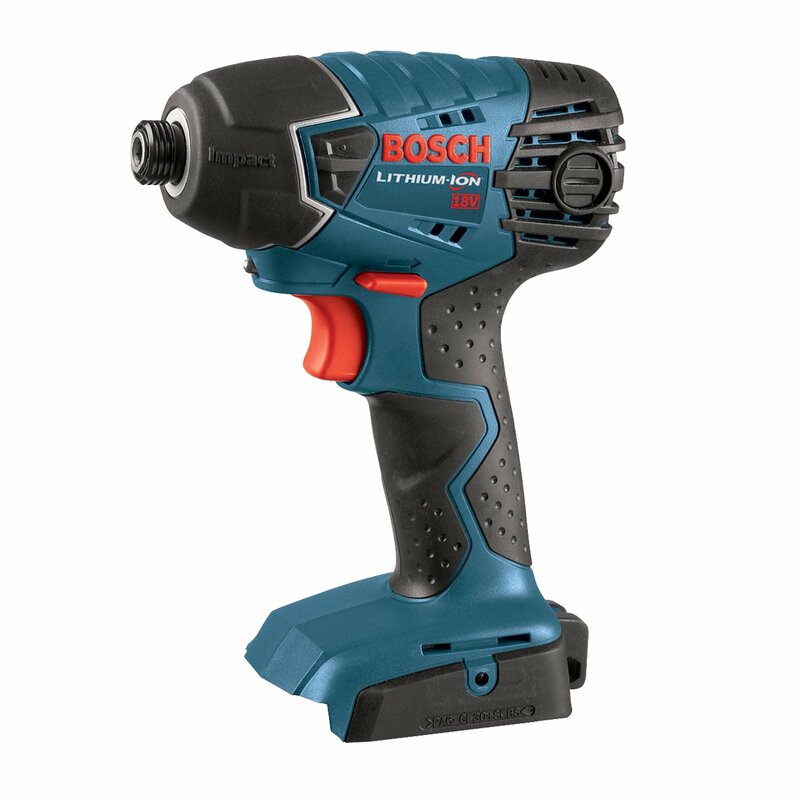 If you are a Bosch fan, this is going to be one of the most used cordless tools in your arsenal. If you’re looking for an affordable option, then perhaps the DCF885C1 will serve you better. It features the same high-power reliable performance, just at a much lower price. The DeWalt 1/4-inch Impact Driver kit comes with three built-in LED Lights. These lights have a 20-second delay after you release the trigger. This means perfect visibility without any shadows. 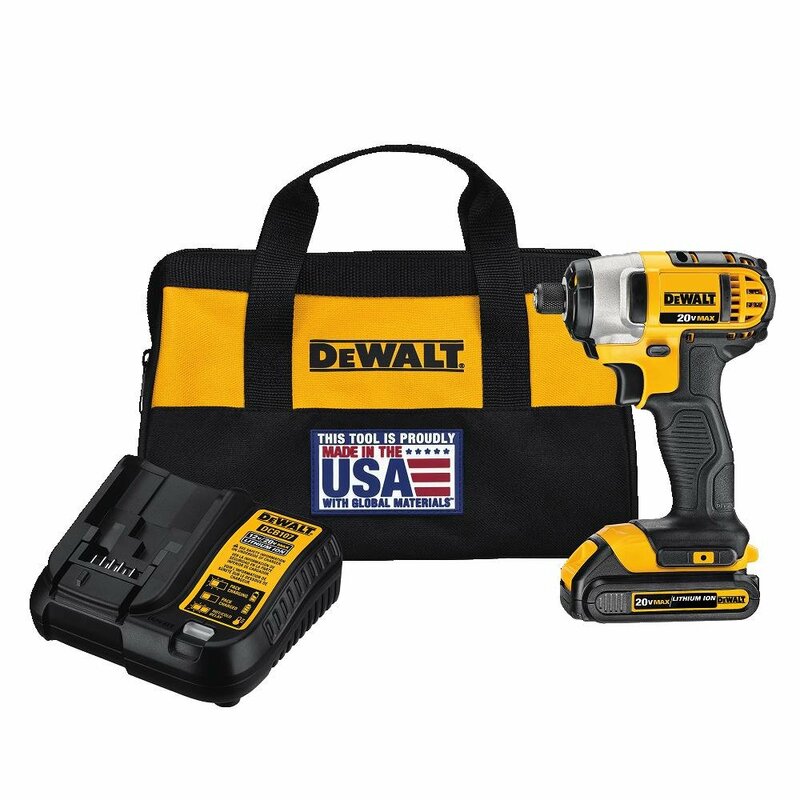 Unlike other DeWalt tools, this one is quite compact and lightweight. It measures about 5.5 inches from the front to the back while the weight is a mere 2.8 lbs. This makes it easier to use for long periods. Moreover, the tool can easily fit into tight spaces. Furthermore, the device features one handed-loading as it comes with a 0.25-inch hex chuck that can readily accept 1-inch bit tips. Additionally, the tool delivers a high torque output where the maximum torque is about 1400 in-lbs. Let’s not forget that the DeWalt impact Driver is cordless. It comes with a Lithium-ion 1.5 Ah battery (the Bosch above has a 2.0 amp-hour battery) and a fast charger. This makes it much easier to use in all kinds of outdoor as well as indoor applications. Also, the tool is backed by a 3-year limited warranty in case of any manufacturing defects. However, the 1.5 Ah battery might not last a long time since it has very low amperage. We figured the problem could be easily solved by carrying an extra battery. Dewalt is a genius at dialing down a few of the features so they can deliver a similar tool for a slightly better price. Excellent option for the homeowner, yet will hold up to the stress of the jobsite. 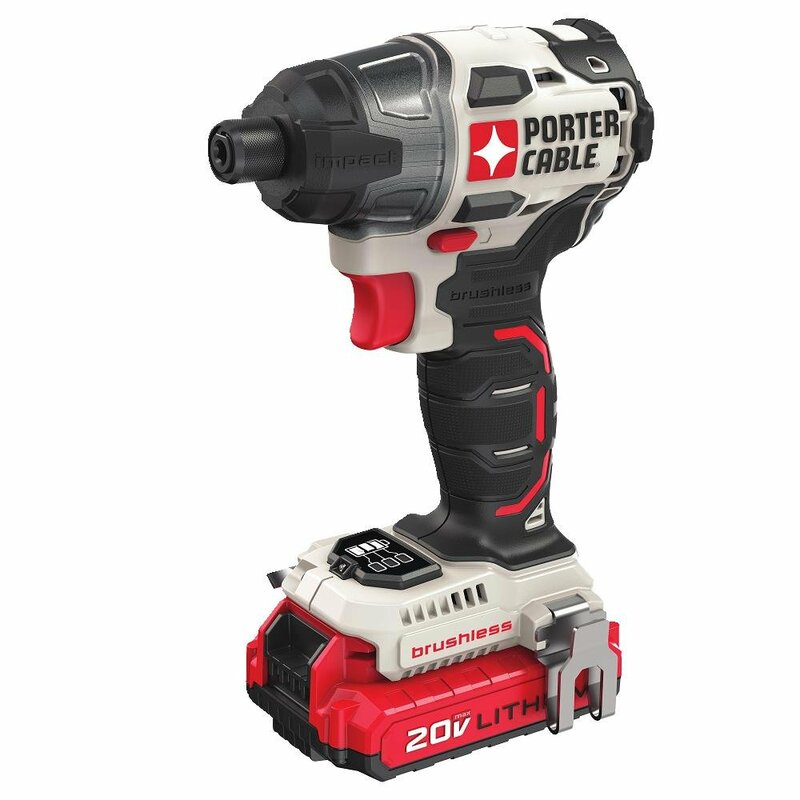 The Porter cable PCCK647LB Impact Driver is packed with various features which have made it popular on the market. The tool features a brushless motor which provides 50% more runtime for the cordless drill and puts it in the same league as the Makita. This is because brushless motors do not have any friction and thus, results in more efficient power transfer. The rugged motor can deliver an overall maximum torque of about 1400 in-lbs. while the max RPM it can provide is about 2700. 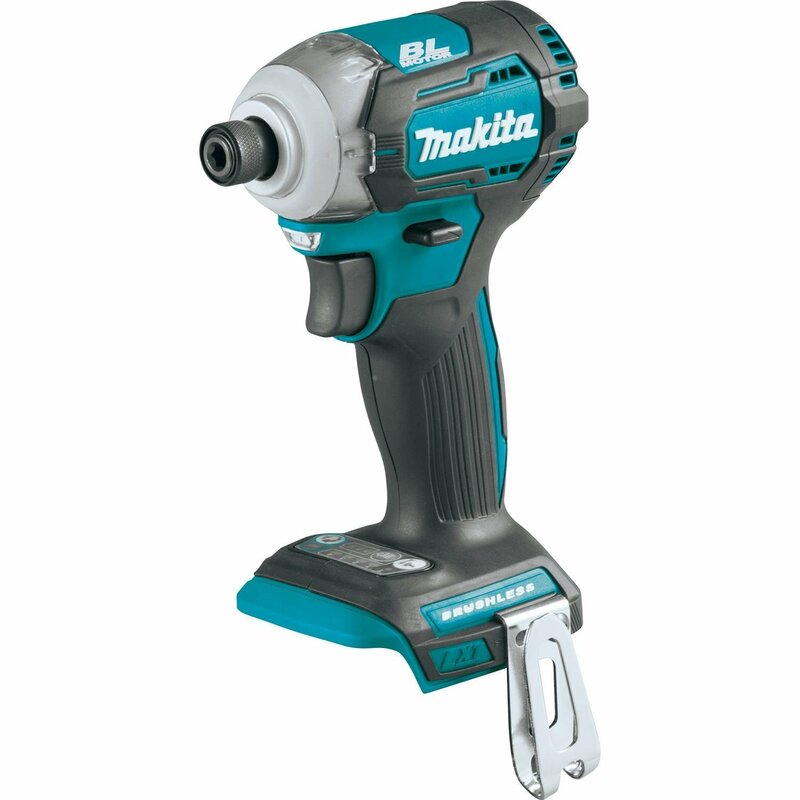 It is a little less than some other models like the Makita, which can deliver 3600 RPM; however, it is also much less costly. Plus, the 2700 RPM is also quite sufficient for most large torque applications. Moreover, the tool boasts of a superior ergonomic design which is 14% shorter in length than others. It measures about 5.8 inches. We found this to be easy to maneuver for long periods. What’s more, the 0.25-inch Hex can be quickly changed using only one hand. Also, it is incredibly lightweight at 2.9 lbs. This enables you to quickly work with it on larger projects without tiring. The Porter Cable also comes with a 1.5 Ah battery which will last a long time for most medium-sized projects. On the other hand, if you’re working on larger projects that require an extended period, then you might run out of battery very quickly. Luckily, Porter Cable gives you two batteries along with the tool so that you can work longer without worrying about the battery running out. Lastly, the Porter Cable Impact driver comes with a 3-year warranty so you can rest assured your investment will be secure. This is an excellent choice for the home-owner who wants a little more power on their shelf. you’ll be surprised at how much you end up using it. Could easily install one deck. Not my first choice if building two decks. The Ryobi P237 Impact Driver is quite popular for its affordable price tag on home tools. The tool is one of the top-rated tools in the home improvement market. It is equipped with a brushless motor which makes it easier to tackle the toughest of jobs. The motor delivers 3200 impacts per minute and 1800 inch pounds of torque making this tool one of the highest-spec options on this list. 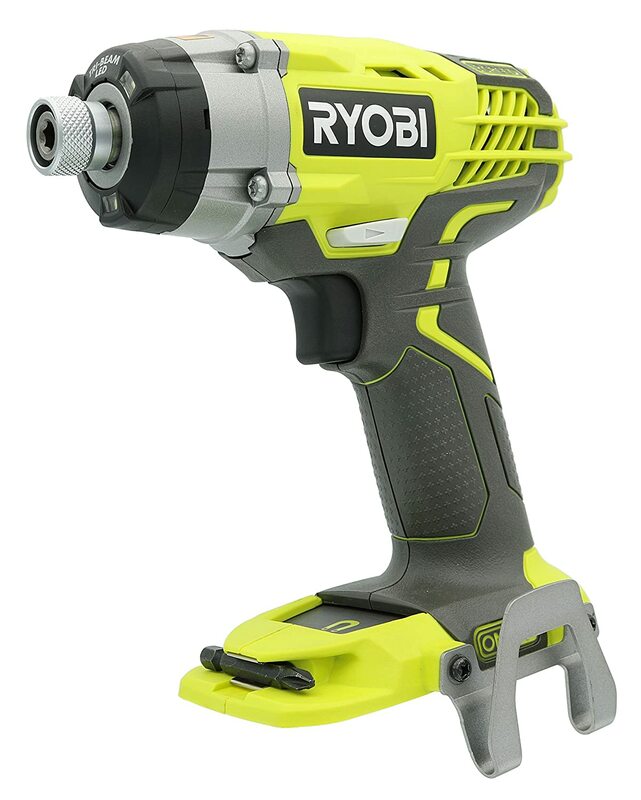 The Ryobi Driver features a 3-speed gearbox which allows you to vary your speed as well as the impact. This means you can use the driver for all kinds of situations, whether they are delicate or extremely heavy-duty jobs. All this, at the flick of a switch! To add to the premium convenience the driver delivers, it comes with magnetic trays at the base. This way you can hold fasteners or screws and keep both your hands available for other work. A belt clip allows you to keep the tool with you when not in use for easier accessibility. As with the other tools, you have a the one hand-ring eject that lets you swap bits easily. The rubber overgrip handle ensures a secure grip, minimizing the chances of any accidents. Worried about poor lighting? The Ryobi comes with LED Lights to help you work in all kinds of lighting or even no lighting conditions. The light stays on for about 10 seconds after you release the trigger, so it works as a mini flashlight. Ryobi has outdone themselves on this tool. However, they have a clause in their warranty that states tools which are used for commercial work only have a 30-day warranty. Until they start believing in their tools, I’ll be putting my money into one of the other brands. So, your journey to find a versatile power tool finally comes to an end! Our top Five impact drivers can help you achieve a sort of versatility in the workshop that has never been seen before. However, if we had to choose the absolute best, then it has to be the Makita XDT12Z 18V LXT Impact Driver. 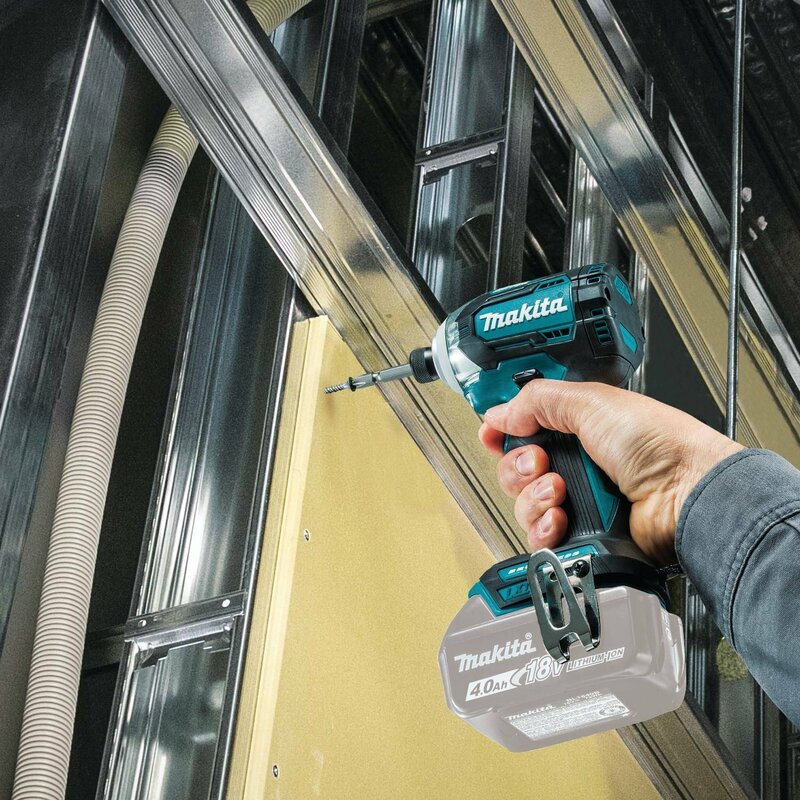 The Makita delivers high torque of 1400 in/lbs, which is the highest in our list and allows you to control the operation with a 3-speed trigger. The brushless motor further adds to the durability and longevity of the product. You have the Impact driver and the impact wrench. The air impact wrench and cordless impact wrench are both excellent for removing lug nuts and driveshafts. Their power is measured in foot-pounds (ftlb of torque). They are designed with square drives to hold sockets, and they are used to work with nuts and bolts. Breakaway Torque is extremely important with impact guns. The Impact driver (what we talked about on this page) is smaller and lighter. Typically their power is measured in inch-pounds. They accept bits for drilling into wood. They can be affixed with specially designed sockets for tasks such as drilling lag bolts. Both of these tools have internal “hammers” that repeatedly strike to create thousands of tiny microbursts. This helps you create an aggressive concentration of torque without stripping out the head of your screw. 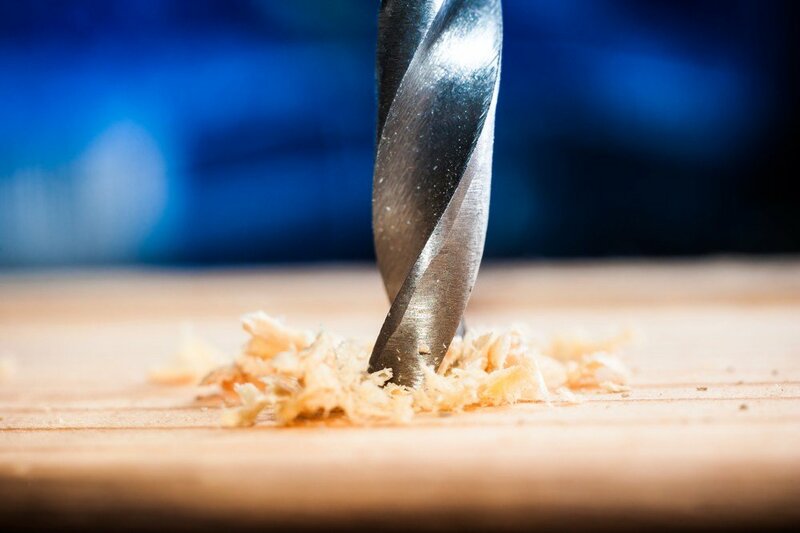 Drills are still very handy for drilling holes and quickly attaching screws to the wood. However, the hammering action of an impact drill means that you aren’t as likely to slip out of the head of a screw. As a result, more people are turning to impact drivers as their primary, all-in-one tool. One note is that drills have “chucks” that allow them to accept bits of many sizes. Impact drivers only accept 1/4 inch hex bits. 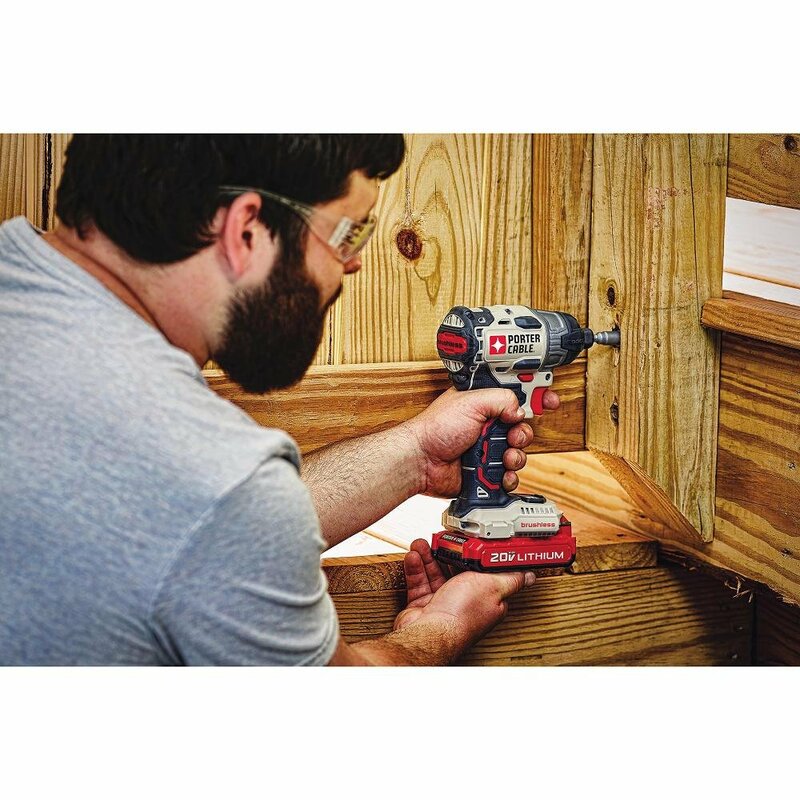 If you’re a beginner looking for a powerful impact driver, chances are you might be confused! The overwhelming choices on the market, as well as the extensive features each tool offers, is enough to leave anyone winded. You can find the perfect tool only to find out that its way out of the budget. Of course, the more expensive options are much more durable and might deliver more power. However, that’s not always the case. You can almost always find reliable tools that are much less costly. Most impact drivers range from $100 to $300. The significant difference to look out for is between the battery life (measured in amp hours) and the torque delivered. Other than that,brand name and warranty are the other determining factors. The contractor grade tools of Makita, Dewalt, and Milwaukee often put these brands at the top of the list. Craftsman and Bosch are a couple of other well-known brands with excellent warranties. The use of an impact driver heavily depends on the operator. If you are installing decks all day long, you will likely want to invest a little more in your equipment than the contractor who mostly does sheetrock work. Impact drivers are great for drilling holes with spade bits. I’ve even used them with a 2-inch hole saw on plywood. Another point to note is that the use of an impact driver is not just limited to drilling or fastening. You can add a socket adaptor as well as socket-ready chucks to convert the driver to a cordless impact wrench kit (albeit with much less power). This helps you in tackling the more heavy-duty jobs. Max Torque is one of the most significant measurements on these tools. Make sure to get a tool with enough torque for your tasks. Since these are highly technical tools, the slightest of misalignment can stop them from working efficiently. Therefore, you need to ensure that the company offers the best and fastest customer support on the market. This includes warranty and trial periods. Not all companies offer a trial period; however, almost all companies offer at least a year of warranty. Buying an impact driver is an investment, and so you should ensure that the investment remains secure. So, we recommend you look for at least one year of warranty. Also, look for instruction manuals and how comprehensive they are. The easier to understand the better. This is especially important for beginners who are just starting with an impact driver. Is it A Bare Tool Or A Kit? For my shoppers who haven’t bought cordless tools online before, this is an important point. A lot of times the best cordless impact drivers are sold as “bare tool.” This is excellent for the individual who already has batteries and chargers for that brand. However, if this is your first purchase of that brand, you will want to purchase a kit. This will include a carrying bag as well as the batteries and chargers you need. The batteries will work with other tools of the same brand. On future purchases, as you expand your workshop, you can merely buy bare tools to save money. One of the biggest debates in the power tool industry is the Brushless vs. Brushed motor debate. Some prefer one to the other. However, most experts agree that the brushless motors are far more superior concerning functionality and efficiency (less strain on the battery). Brushless motors do not use brushes to transmit the energy generators which is the norm with brushed motors. Using brushes for energy transmission can result in friction and loss of energy due to heat. So, brushless motors run much more efficiently and produce much less heat. Secondly, Brushless motors do not require more maintenance (no brushes to replace) and so they last longer! Lastly, they support smart electronics to help optimize performance and protect the battery from overload. However, they tend to be much more expensive. Of course, you can always go for a brushed version, but you’ll be compromising on longevity for a lower price. 12V: They are more suited for light duty DIY work. You can use them to drive fasteners into medium grade materials. Most 12 V drivers are quite small and compact. 18V: These drivers are suited for professional and daily applications. They deliver much more torque and hence can be used on larger fasteners. There might be various types of battery in the market, but perhaps none can beat the longevity of the Lithium-ion battery or Li-ion battery for short. You’ll find most batteries are rated at about 1.5–5 Ah. The higher the Ah, the longer the battery will last between charges. No one wants to wait around while their tool gets charged up. So, look for the charging time for the battery as well. Anywhere near 45–60 minutes is ideal. Heavier impact drivers can make it hard for you to maneuver it. If you’ll only use the tool occasionally, then you can go for a heavyweight version as you won’t hold it for long. But, for more extended use, we recommend going for a tool that is under 4 lbs. There are various types of clutches available with most power tools. However, almost all impact drivers come with adjustable clutches or electronic clutches that can help you precisely control the torque you put behind the tool. This makes it easier to do precise work, without damaging the screw or the surface. A variable RPM control trigger helps you control the fastening process, so it does not damage the screws or the surfaces. Most tools have RPMs ranging from 0 to 3000 or even higher. They mostly allow at least 3 or 4 different RPMs. The speed can be controlled by a trigger so you can avoid stripped screw heads and damaged surfaces. Torque and IPM are the two significant factors to consider when buying an impact driver. Most 12 V tools deliver about 800–1200 in-lbs. of torque while the 18 V versions can deliver up to 2250 in-lbs. Impacts per minute (IPM) can help loosen the most stubborn of screws. So, IPM needs to be considered as well. For 12 V tools, an ideal IPM of 2200–3500 IPM and for 18 V tools, an ideal IPM of 1700–3750 IMP is to be expected.